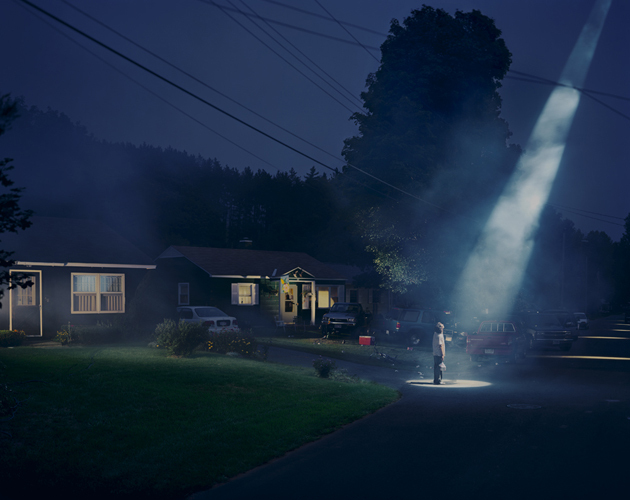 Unanimously recognized as one of the most brilliant photographers of our time, Gregory Crewdson (b.1962, New York) is often compared to other renowned American artists working in different fields (among which Stanley Kubrick, David Lynch and Edward Hopper) for his obsessive control of the composition – every single element of the frame is accurately selected – and the ability to portrait American suburban every day life through an unnerving, visionary hyperrealism. 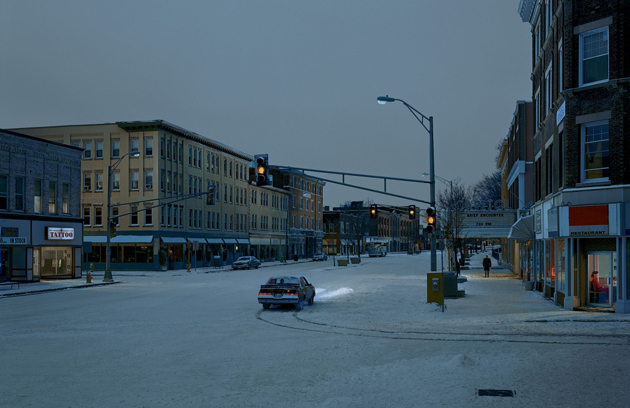 The juxtaposition between a certain kind of cinema and Crewdson’s photographs is not a mere coincidence; indeed, the creation of his images is a long process, which involves a solitary and slow location scouting – the most important part of the entire process – and a regular cinematographic troupe that painstakingly builds the wanted set and light to get the perfect shot. Each picture is a frozen and mute slice of life, mid-way between reality and fiction, beauty and decadence. They are fixed but incomplete moments, without before and after, that allow viewers to get drawn into the scene, projecting their experiences and free interpretation to generate personal narratives. The stages offer rarefied atmospheres where everything is perfectly contextualized – nothing has been left to chance – and seems to be definitely real, but filtered through artificial, dreamlike and surreal lights, which give a pictorial aspect to the works. 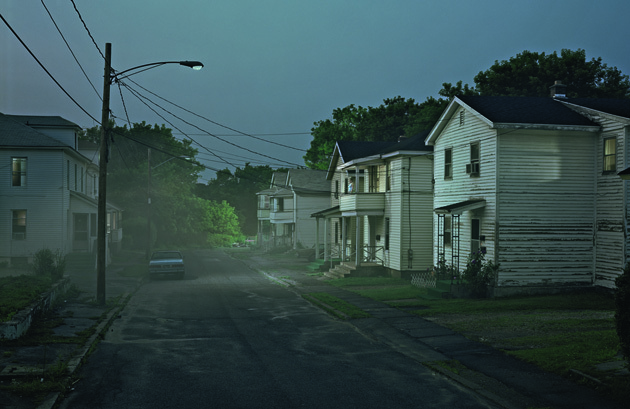 Crewdson depicts deserted streets, supermarkets with neon signs during twilight and dawn, parked or overturned cars in the boulevards, motel beds and private living rooms inhabited by puzzling characters, lost in thought and leading a very solitary existence. 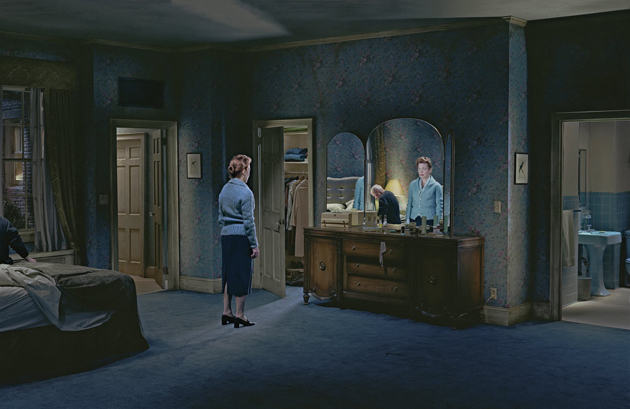 They are stills from the world of unconscious ghosts that remind us of Short Cuts by Altman rather than the incomparable Raymond Carver’s Cathedral novels. 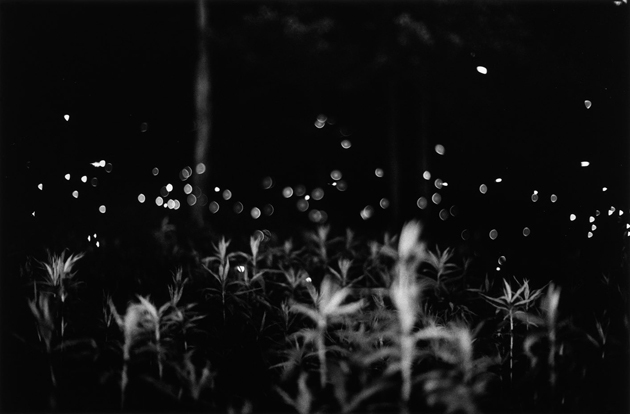 But beyond this type of work, which is undoubtedly Crewdson’s most widely known, we cannot avoid mentioning a special series of photographs made by the artist during the summer of 1996 in rural Massachusetts, entitled Fireflies: 61 black and white introspective photographs showing the magic fleeting light of the nocturnal creatures in a simple, poetic and direct way. Wave Hill in New York is now giving the wider audience a rare opportunity to see, for the first time ever, the complete collection of amazing images in a special exhibition which will run until 24th of August 2014. Do not miss it if you are around!